A career in the law profession can certainly bring a lot of rewards to one’s success. All you need to do is simply prepare for the entrance exam and be part of a good law institution. In case of any doubts, let’s delve in and check some of the best reasons that how study in law can benefit you. If you are interested to pursue Law Degree, then you’re at the right path as doing so can open umpteen career opportunities for you in diverse fields like lawyers in public and community sector, judges, barristers, politicians, academics, solicitors in leading law firms, and more. Though career opportunities are important, pursuing the degree from a renowned University/Institute also matters. Thus, we suggest you make your selection wisely. 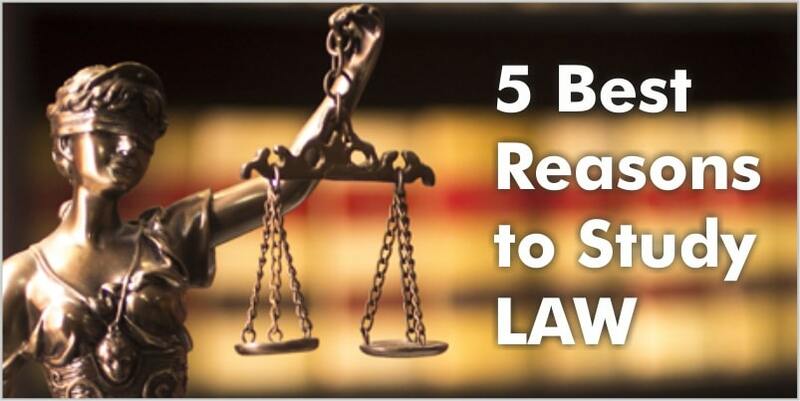 By pursuing law, you can brag about having a broad skill set. This will perhaps help you in your future endeavors. A law degree can give you an understanding of legal processes, analysis capabilities, logical reasoning skills, and last but not the least critical thinking. Apart from that, the law stream can help you in your everyday life at the time you need to sign some legal documents or contracts with complex language and clauses. Although pursuing a law degree can’t give you immediate success or huge package, it’s somewhat close! The skills and knowledge obtained from studying law give you a higher salary and job security relative to others. While the decision is all yours. Many law degree holders have gained success in numerous industries, whether it’s Judiciary or Lawyer and are leading the world. While justifying the profession is not easy, but those who stick with justice and do their job with complete dedication are most praiseworthy. Law students grow in their respective fields by having the ability to argue on the basis of proofs in such a way that no other can (probably). Doing so helps in cultivating advanced communications skills in people belongs to law stream and nurture confidence and self-esteem, making them adaptive to several situations as well as career transitions. Will you be the one who could bring a change in society by fighting for the rights of those people who themselves can’t. If yes, this is the time to get yourself enrolled for studying law. Get success!